June 1942. "Queens, New York. Nursery school at the Queensbridge housing project. 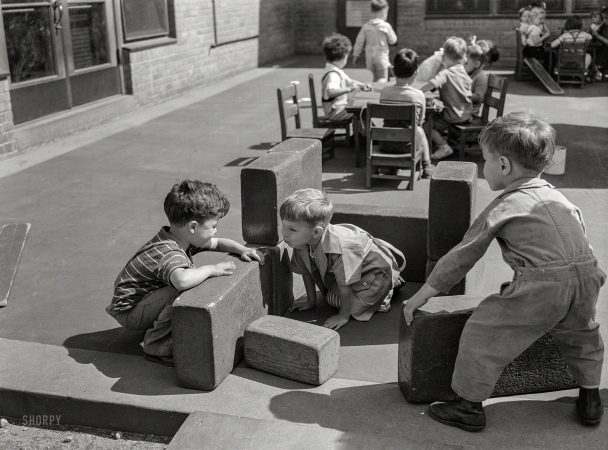 Children playing with blocks."